Hot Pink is owned by the owner of Munnu Kasliwal who also happens to own the Gem Palace and designed by the French jewelry designer Marie-Helene de Taillac. The paper lanterns and copper pots filled with rose petals on the interior are given a mesmerizing look by the whitewashed walls on the background. 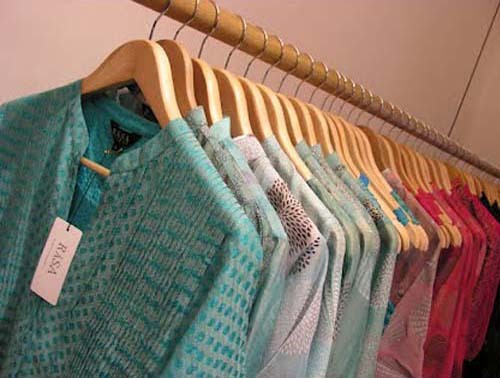 Hand-stitched kurtas for women, colorful Nehru jackets for men, pashmina cushions and vibrant accessories are the highlight of this place. This store is all about contemporary home furnishings along with menswear and women’s fashion suiting. The perfect pillow cover imprinted with a royal Rajasthani touch found in rasa will make to stand still for a moment. Kalpana Handmade Paper stores handmade paper featuring designs like traditional Rajasthani and contemporary styles on the same platform. The cards and jewelry boxes made from these gorgeous sheets are plain awesome and you will be awestruck. 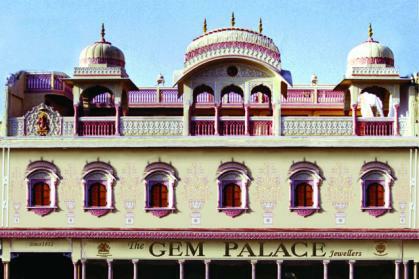 Gem Palace was setup in 1852 by the Kasliwal family. 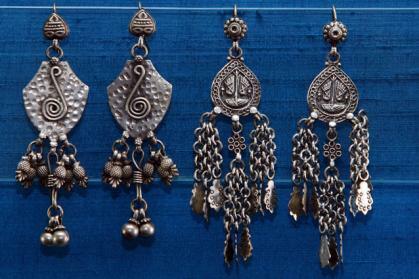 It is housed in an old haveli and displays rare jewelry belonging to the Mughal Era. The shop is the highlight spot for its antique collection of jewelry along with contemporary jewels mostly seen to be worn by royalty and dignitaries and also by Hollywood and Bollywood celebs. The East West Tailors & Designers stores some of the best Indian and Western men clothing and saves the hassle of going store-to-store as men generally hate it. 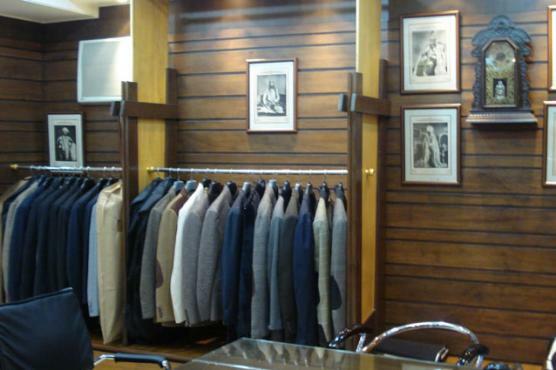 The highlight of their seamstresses is sherwanis, Jodhpuri suits and also the classic Jodhpurs. 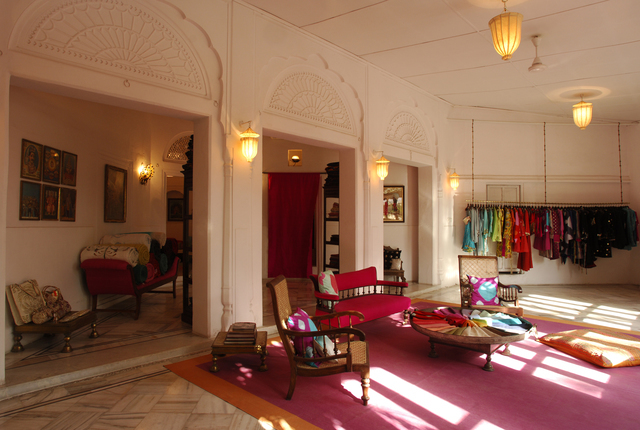 Miraangi is located a few hundred meters away from Rambagh Palace, the ‘Jewel of Jaipur.’ It is a multi-designer clothing and accessory store where you will find some of India’s best designers including Anamika Khanna, Manisha Arora, Namrata Joshipura, Rehane and Bansri’s work. Silver Mountain is one of the best stores for silver jewelry shopping in Jaipur. It also stores silver featuring semi-precious stones. The baubles found range from funky to traditional to cater to your every need and every occasion. This bazaar stocks some of the finest traditional Minakari and kundan jewelry. The gaddis shops stock traditional and contemporary designs featuring both precious and semi-precious stones from diamonds and emeralds to amethysts and turquoise. 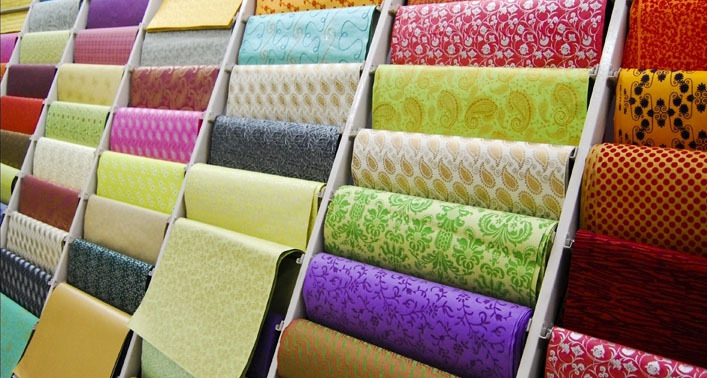 The market is also rich in beautiful bandhej saris. 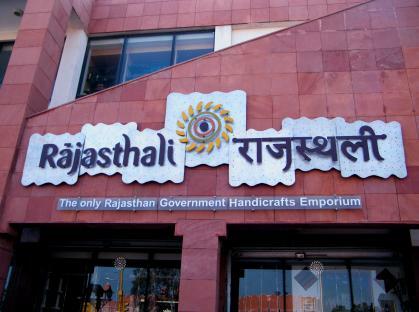 Rajasthali Emporium is the only emporium approved by the Rajasthan Government, set up way back in 1960. Here lies a collection of a huge array of all things both rustic and chic. Beautiful creations handmade by master craftsmen from across Rajasthan are found along with sweet pottery, papier-mâché, carpets, furniture, jewelry and textiles. Honorine Jewels was founded in 2008 by a French jewelry designer, Fanny Dominique Boucher residing in Jaipur. Her tell tales of poetry, travel and a longing for all things beautiful. Her jewelry reflects a fusion of traditional Indian style with a contemporary French aesthetic making it all the more precious. Amrapali is a 33-year-old brand that has been successfully earning a reputation for the finest antique and vintage Indian jewelry and unusual fusion pieces. The fame of Amrapali has outreached Marbella, Spain Lagos and Nigeria etc. Saroj the Art & Antique Gallery is one of the best antique shops in the city. It has an excellent collection of old Raja Ravi Varma prints along with well-preserved Rajasthani textiles and maps. 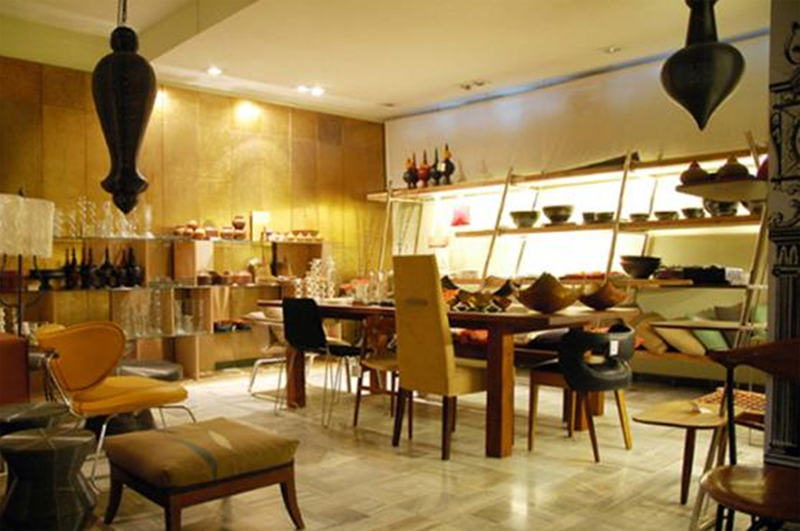 At Anantaya AKFD, designer Ayush Kasliwal along with his network of artisans design cutting edge furniture, wall decor, lamps, and other artefacts. 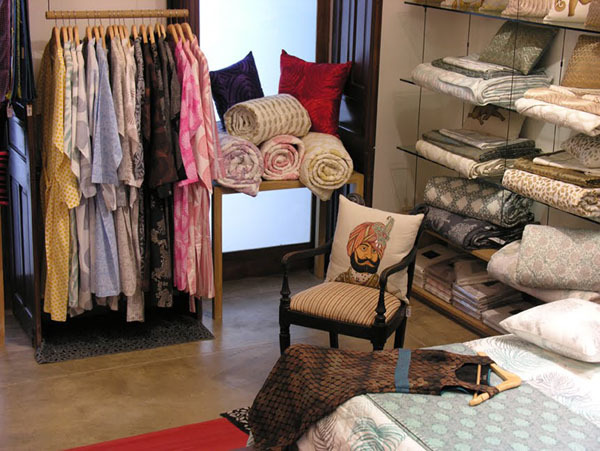 The store also stocks indigenous Rajasthani crafts that are created with a touch of traditional. Nidhi Tolia is a Jaipur-based designer with a far reached name for trousseau shoppers. Brides-to-be swear by her gota work and her wide range of casual saris and salwar kameez.